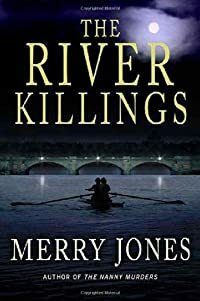 The River Killings by Merry Jones, a Mysterious Review. Review: The River Killings is Merry Jones's 2nd mystery featuring art therapist Zoe Hayes who is caught in the middle of a syndicate of human trafficking along Philadelphia's riverfront when one night while she and her best friend Susan are rowing they accidentally stumble upon a number of dead bodies floating in the Schuylkill River. It is an understatement to say that there is way too much going on in this book. The gripping opening chapter is followed by a long string of chapters that are so convoluted they hardly make any sense. Early on, Zoe states that she "... wandered from room to room, agitated, not able to focus on any one issue, mind bouncing from one jarring event to another. Agent Ellis had been killed. Nineteen women were dead. My house had been broken into, and Susan had been carjacked. Coach Everett and Tony were involved in something shady, and Molly had seen and heard too much. And then there was Nick. Nick knew more than he was telling me. Nick kept secrets." This passage is a clear indication that not only is Zoe confused, but so is the reader. It never makes sense when an author inexplicably turns an otherwise law-abiding citizen into a criminal by having them break into a private residence under the guise of solving a crime. Is it not possible to have Zoe investigate criminal activity without become a criminal herself? And why is it necessary for Zoe to put her daughter in harm's way by leaving her alone, on more than one occasion, in a potentially dangerous environment? And what happened to Susan? One of the more interesting characters in the book, and one who plays a prominent role early on in the story, she virtually disappears about half-way through. There are stylistic questions as well. Jones has included 98 chapters in this book of just over 300 pages. Chapters often indicate a change of scene or perspective, but in this case, there is no logic to their content or length. It is almost as if each chapter represents a day of writing by the author. Some are several pages long, some barely a page long. Some span an extended period of time, some scarcely finish a thought. It's incredibly disrupting to the flow of the plot and makes the book seem far longer than it really is. Merry Jones writes in a very descriptive, illustrative manner, and this series definitely has potential. But she needs to work on her plotting which, in the case of The River Killings, is simultaneously far too complex and inferential. Acknowledgment: Minotaur Books provided a copy of The River Killings for this review.